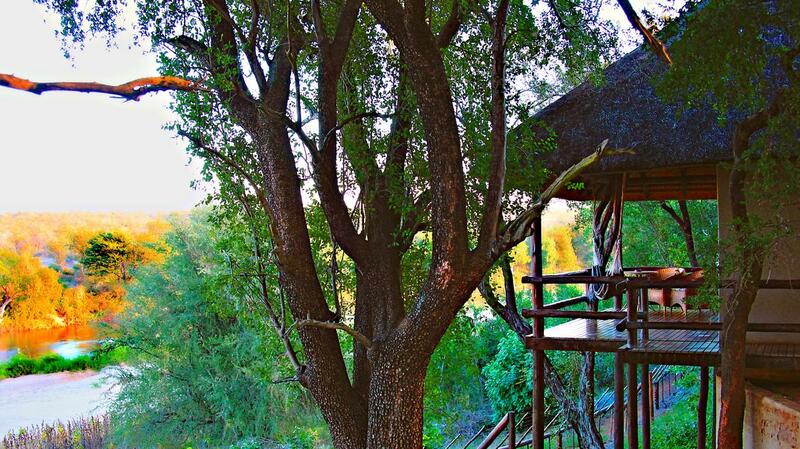 The NYATI Family Bungalow is located right by the Olifants River and is built into the slope towards the river like all other NYATI lodgings. 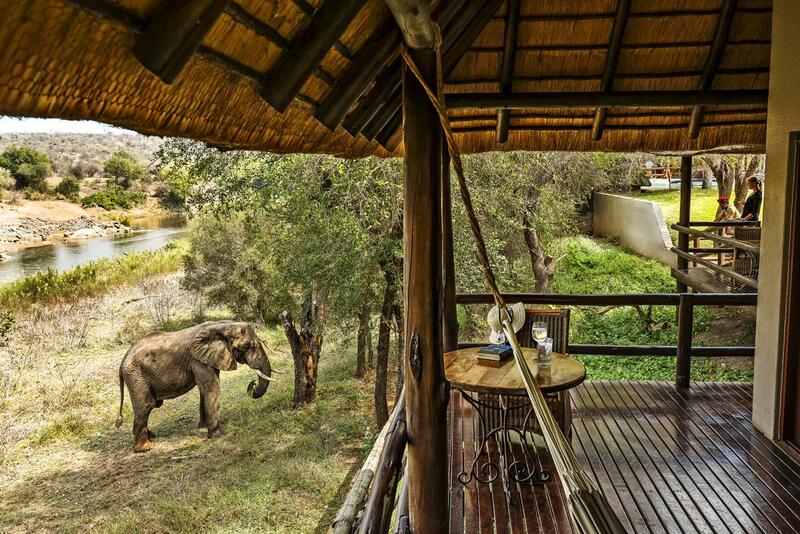 The construction is in harmony with nature and from your own private terrace you can enjoy a spectacular view. 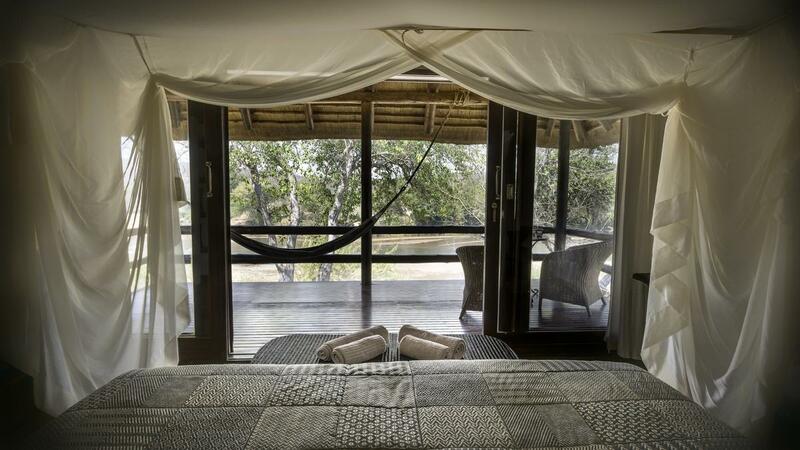 Large glass-paneled sliding doors lead onto the private furnished terrace, from where you have a panoramic view over the river and the vast African bush. 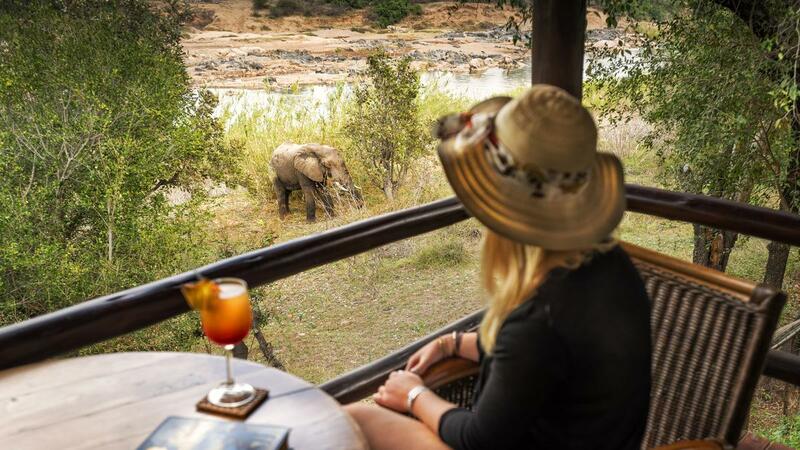 Imagine lying in your hammock with a cup of coffee or a drink while watching elephants, giraffes, antelopes and other wild animals coming down to the river to drink. 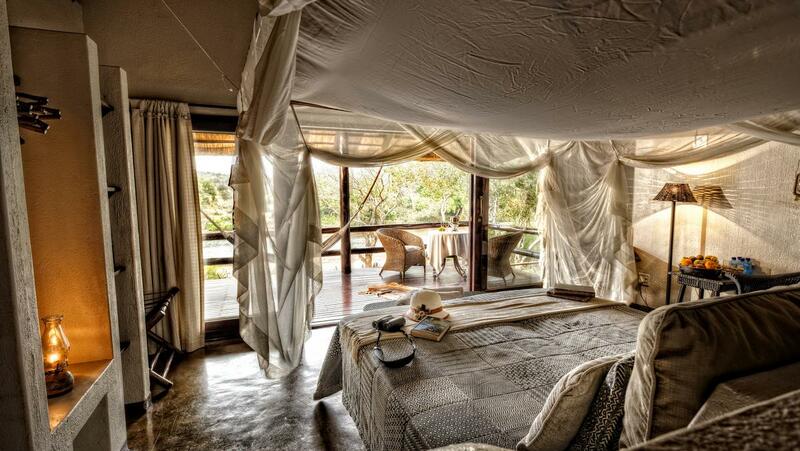 This is world-class safari in Africa. 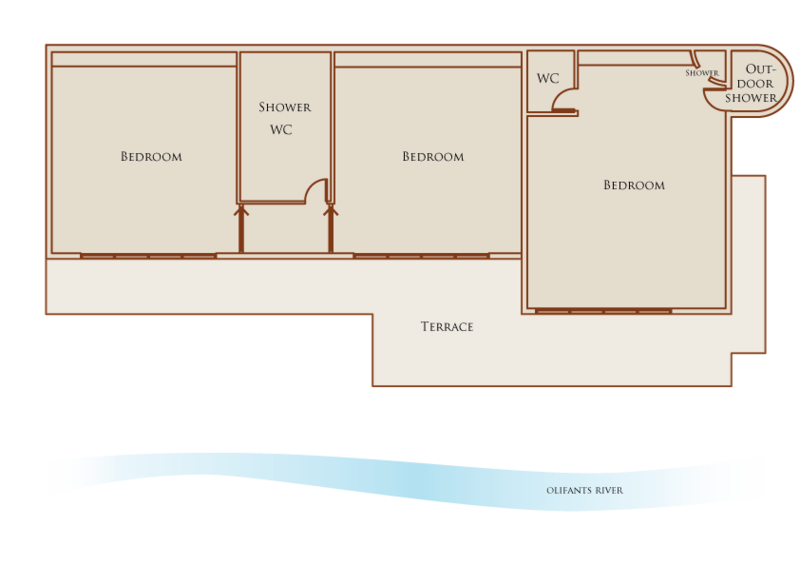 The family bungalow corresponds to a river bungalow with two extra separate rooms sharing bath, toilet and terrace. See the floor plan. The bungalow can accommodate up to 2 people in each room, ie. in total 6 people can stay in the family bungalow. The two smaller bedrooms have connecting doors but to enter the large master bedroom you need to go out on the terrace and through the large glass panoramic door here. 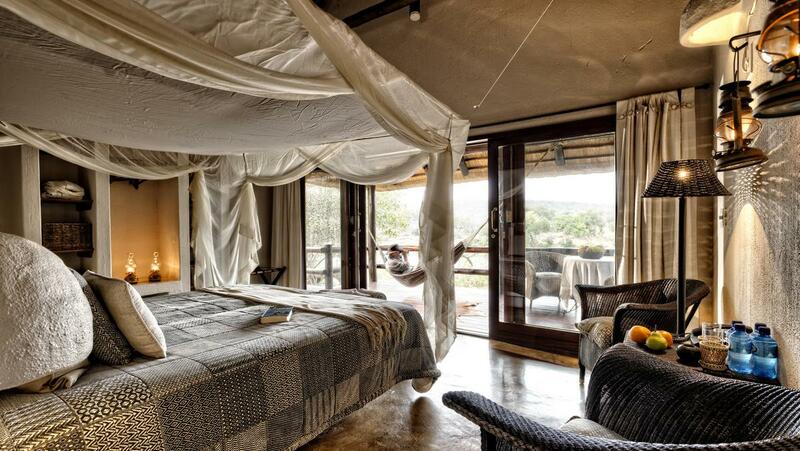 If you would like more space, you can always choose an Olifant Villa Suite of 200 m2 for a daily or weekly supplement. 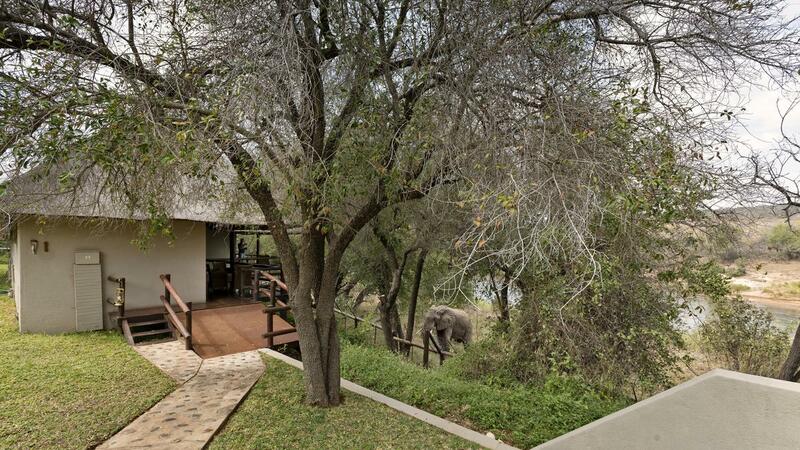 It is advisable to book early if you want to stay in our family suite as we only have this one. 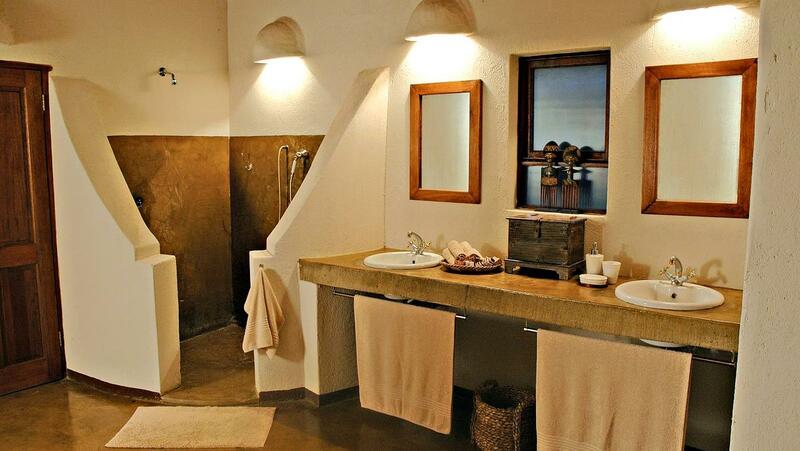 NYATI Family Bungalow consists of two individual rooms attached to a River Bungalow for 2 persons. 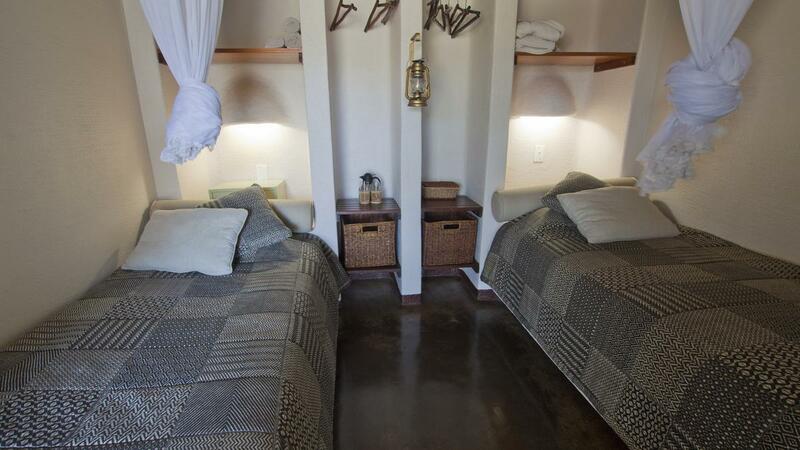 Each of the two rooms have two single beds as well as shared bath/toilet/terrace. 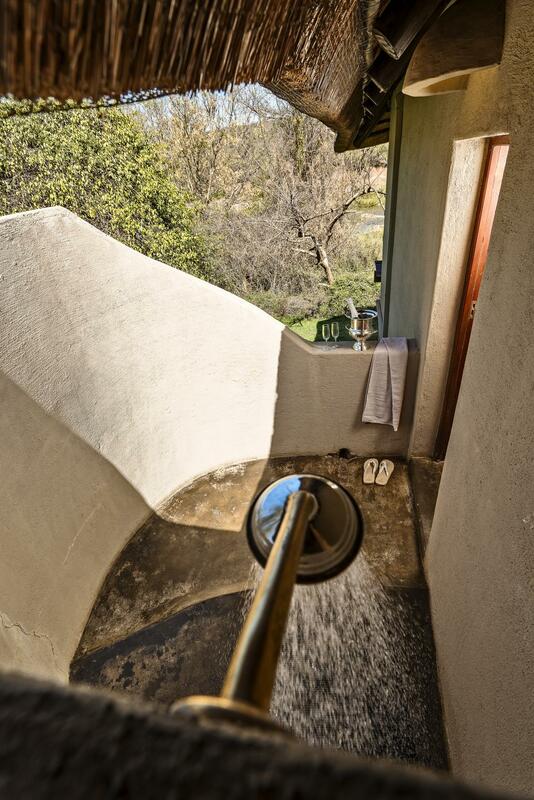 The family bungalow is well suited for families with children or for groups of three wanting to avoid the single fee for the third person in a separate River Bungalow.